Pray that China will work with the U.S. in resolving the trade issues with our two nations. China said on Wednesday that “blackmail” wouldn’t work and that it would hit back if the United States takes further steps hindering trade, as the Trump administration considers slapping a 25 percent tariff on $200 billion worth of Chinese goods. 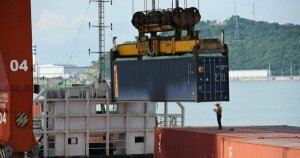 While the duties would not be imposed until after a period of public comment, raising the proposed level to 25 percent would escalate the already bitter trade dispute between the world’s two biggest economies. The source said President Donald Trump’s administration could announce the tougher proposal as early as Wednesday in Washington. The plan to more than double the tariff rate was first reported by Bloomberg News. Investors fear an escalating trade war between Washington and Beijing could hit global growth, and prominent U.S. business groups, while weary of what they see as China’s mercantilist trade practices, have condemned Trump’s aggressive tariffs. A spokeswoman for the U.S. Trade Representative’s Office declined to comment on the proposed tariff rate increase or on whether any changes would alter the deadlines laid out for comment period before implementation. Asked about communication between the two countries on the dispute, Geng said China had “always upheld using dialogue and consultations to handle trade frictions”, but that dialogue must be based on mutual respect and equality. Thank You Father, that we can come to You with all our cares and concerns. We pray for wisdom for Pres. Trump and all who are involved in the decisions to raise the tariffs. We pray for wisdom the Chinese leaders too. May the leaders of China & the US come to fair decisions regarding trade. I agree with the prayers for the spread of the gospel throughout China & the USA. May Your Glory be manifested over all the earth that people will come to know YOU. Simply I agree with each prayer in Jesus name. Matthew 18:19 “Again, truly I tell you that if two of you on earth agree about anything they ask for, it will be done for them by my Father in heaven. Father, first we come against a spirit of fear and re-assert that we, as Your sons and daughters, have been given a spirit of LOVE, power and SOUND MIND. We refuse to be moved by what we assume and what we hear. We are only moved by FAITH! We know, Father, that first and foremost, You desire that we all come to saving knowledge of YOU through Your Son. That means, that first and foremost in praying for any situation in China, we pray for awakening to YOU: to Your Presence, to Your Truth and to the amazing sacrifice and Resurrection of Your Son. We call forth softening of hearts, particularly of Chinese leadership, so that they will cease from fruitless efforts of restricting Christian influence in China. We call forth visitations, visions, dreams and other types of personal encounters with You throughout China and in other countries that previously have opposed proliferation of the gospel. We recognize that we are NOT at war, nor in competition with any other person, country or sector that is attempting to improve the quality of life for others and we ask You to forgive us for making vain statements about war, violence, hatred and conflict, especially as those statements may have related to other people within our own country. We choose to repent – to turn from those wicked ways – and to go, instead, in the direction of righteousness and Truth. We speak blessing on the Chinese economy and economies that are languishing. We speak freedom of choice and of movement to all echelons of the Chinese community. We speak light and life to the Chinese people. We desire to pour out the love and forgiveness that we have received from YOU Almighty GOD so that they, too, may walk in the liberty wherewith JESUS is freeing them. Like our President, we desire to see all peoples prosper and fulfill the destinies YOU have appointed each. We pray that every product that is made in the USA is made with utmost integrity in an effort to make the highest quality to reflect that it is made with a heart that desires to honor YOU. We thank You, Father, for Your ingenuity, Your creativity, Your inspiration and the resources You have provided that everything that comes from the USA is of excellent quality, reliability, effectiveness and efficiency. And, we thank You, Father, that it is Your desire that ALL workmanship on a world-wide scale be of the highest quality so that consumers everywhere receive products that excel in quality and durability. May each of us give our best so that all people will GLORIFY YOU! When you’re under attack, appeal to God as the righteous Judge (5:4- Our Lord is for us and not against us. Abba Father I pray and come humbly before you in our time as a nation to implore you to protect us, you are the mighty God who will make all things good according to your riches and Glory. I pray for understanding and a resolution between both America and China and that it will go well” guide our president in his words and give him the wisdom. In Christ Jesus name amen. and I declare the opening of generous hearts!